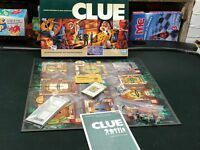 Great version of classic Clue! Totally adorable version of Clue, especially if you love the Golden Girls. Hopefully my daughter will enjoy this. She is a big Golden Girls fan. my friends and i are looking forward to playing this game!! !